An international team of researchers has solved the structure and elucidated the function of photosynthetic complex I. This membrane protein complex plays a major role in dynamically rewiring photosynthesis. The team from the Max Planck Institute for Biochemistry, Osaka University and Ruhr-Universität Bochum together with their collaboration partners report the work in the journal Science, published online on 20 December 2018. 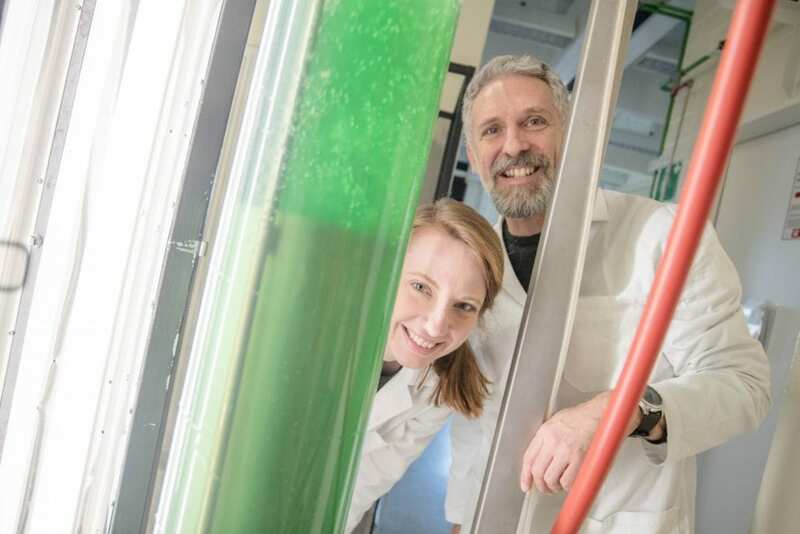 “The results close one of the last major gaps in our understanding of photosynthetic electron transport pathways,” says Associate Professor Dr. Marc Nowaczyk, who heads the Bochum project group “Cyanobacterial Membrane Protein Complexes”. Complex I is found in most living organisms. In plant cells it is used in two places: one is in mitochondria, the cell’s power plants, the other is in chloroplasts, where photosynthesis occurs. In both instances, it forms part of an electron transport chain, which can be thought of as biology’s electrical circuit. These are used to drive the cells molecular machines responsible for energy production and storage. The structure and function of mitochondrial complex I as part of cellular respiration has been well investigated, whereas photosynthetic complex I has been little studied so far. Cyclic electron transport represents a molecular short circuit in which electrons are reinjected into the photosynthetic electron transport chain instead of being stored. Marc Nowaczyk explains: “The molecular details of this process have been unknown and additional factors have not yet been unequivocally identified.” The research team simulated the process in a test tube and showed that the protein ferredoxin plays a major role. Using spectroscopic methods, the scientists also demonstrated that the electron transport between ferredoxin and complex I is highly efficient.